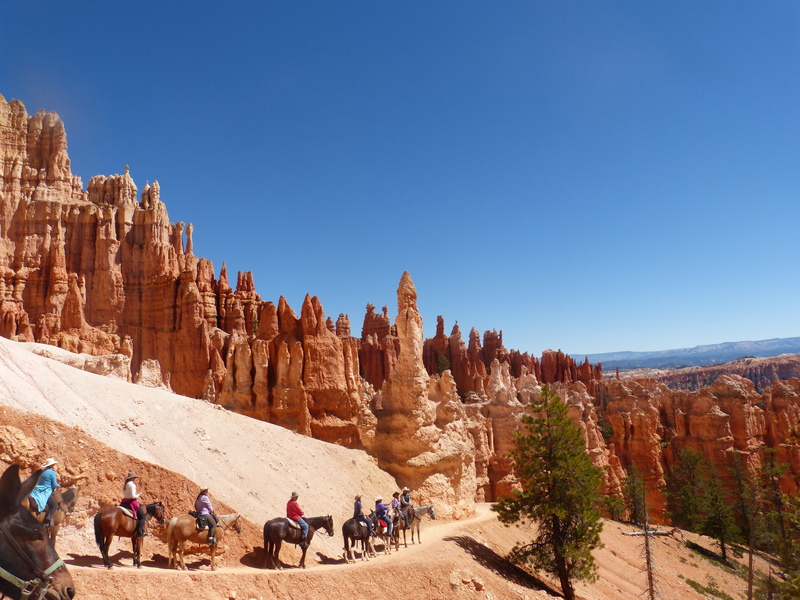 Come and experience a horseback adventure through the largest, most beautiful national parks in the world! 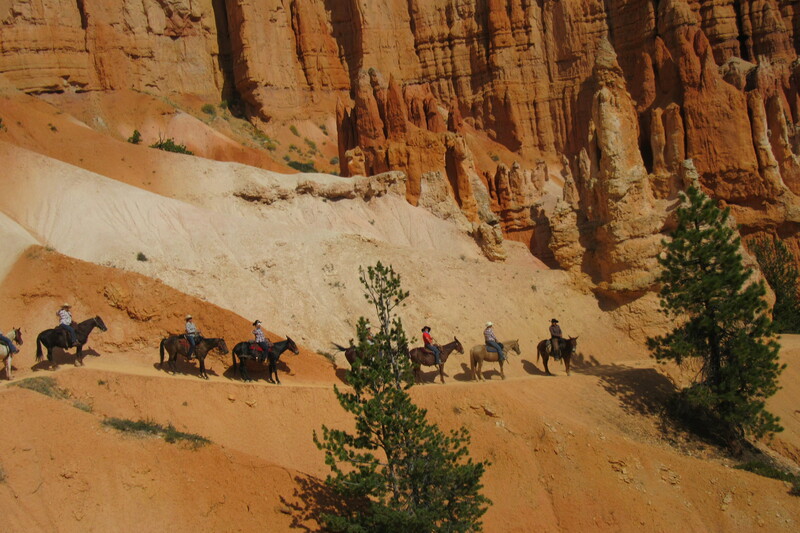 We will ride off the beaten path, to places you can go only by horseback. 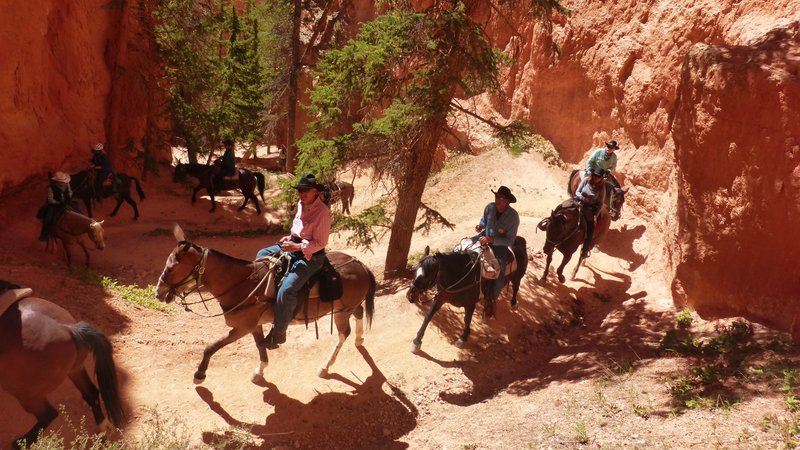 Our cowboys have been guiding riders for years and will lead you through the old trails used by cattle rustlers, Butch Cassidy, The Sundance Kid, and Texas Ranger Elijah Moore. Along the way, you will be educated with land and outlaw history. You will see Indian petroglyphs and even ride into the Grand Canyon on the North Kaibab Trail. Riding with Pete & Keela Magnum each day is a new adventure-completely different from the one before-specially planned to give you plenty of time in the saddle to explore and enjoy this incredible adventure. You will be intoxicated with the beauty of Zion, Bryce and Grand Canyon national parks. Pristine slot canyons, sparkling creeks, historic rock formations, unbelievable sunsets--one look and you will know why these are world famous national parks. You will ride the wild and remote, often undiscovered country. Imagine exploring the countryside with our cowboys by day, and riding into camp by night with a hot shower waiting (with all of the hot water you want!) Also, a scrumptious full-course dinner will await you, prepared by master chuckwagon chefs, Robert and Daylean Houston. There will be live singing and entertainment from cowboys around the campfire, and all the stars in the sky you want to wish on. Our guides are people who want to see you smiling. They love the camaraderie of people and are there for your benefit and pleasure. They are sincere and committed to your service and safety. 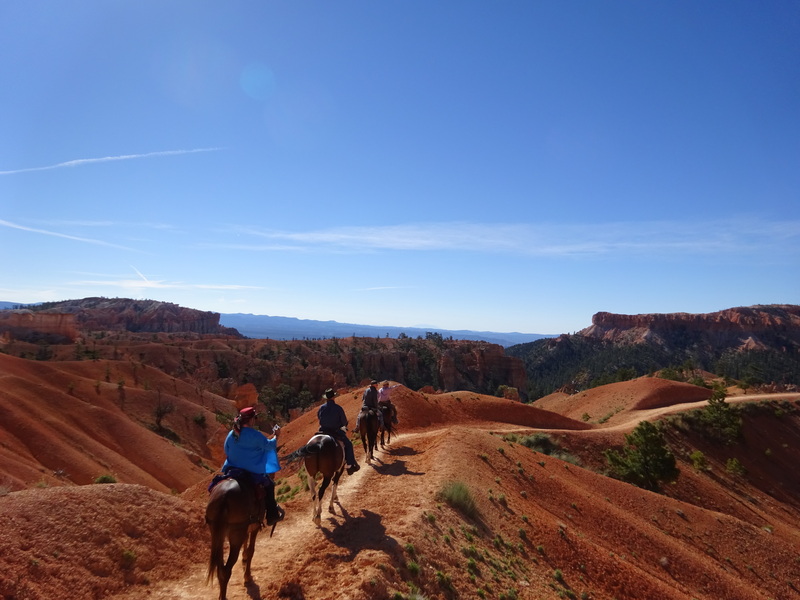 So, if you are interested in a first class horse ride vacation with beautiful scenery, sunsets, hot meals and, yes, even hot showers; or just have a craving for adventure and wide open spaces, then Cowboy Up to have the time of your life. You'll form friendships, visit national parks, eat great food, and who knows--maybe even become temporarily bowlegged. "I should have been a cowboy!"